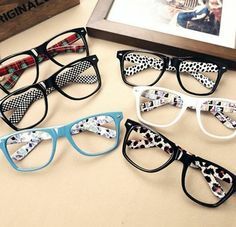 There are many cute glasses available in the market nowadays and good news is that the geeky look is considered equally fashionable! If you feel that glasses do not go well with makeup, think again, as we are going to list down some really easy tips and tricks for you to try out. Now, there is no need to reach out to your contact lenses as with these tips it will be very easy to create different makeup looks with your glasses on. First thing to understand is that wearing glasses bring a new dimension to your overall face, though it hides your eyes considerably. Therefore, put makeup that enhances your natural facial features and at the same time complements the glasses that you’re wearing. Eyebrows – Glasses automatically draw attention to eyebrows so give a strong shape to your brow. Ideally, the upper line and shape of your glasses should follow the natural shape of your eyebrows. But this is not always possible as there are many different shapes and sizes available in the market for glasses. 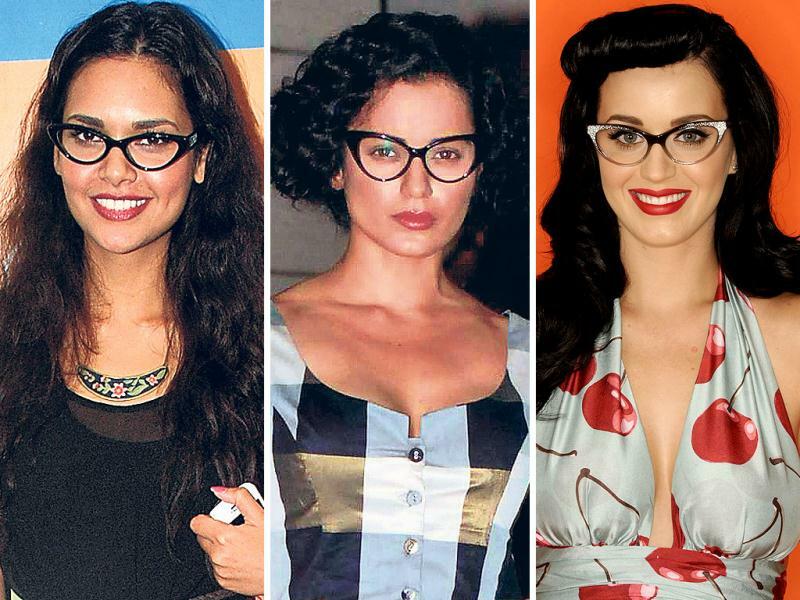 If glasses are thick then we recommend you to go for a natural shape and moderately sized eyebrow. Maintain your brows by plucking stray hair with the help of tweezers or fill in the gaps with the help of pencil for a proper shape. Eyes – Doing dramatic eye makeup can be challenging with glasses. Besides occasion, glass wearers need to consider the type of glasses and vision problem before choosing eye makeup. Eyes may look small (nearsighted) or large (farsighted) depending on the size and power of your glasses. If you are farsighted then we recommend you to pick cream based dark eye shadow shades such as grey, brown or green. This will minimize the enlargement effect of the glasses. While, women with nearsighted vision should refrain from darker colors and thick eyeliners as it will make the eyes look even smaller. We recommend eye shadow colors like copper, beige, light grey, rose or lavender. Another interesting tip would be to wear thick eyeliner with thick frames and thin eyeliner with thin frames. Doing the opposite will exaggerate the eyes in a wrong way. Eyeliner color can be black, grey, navy blue or brown depending on the kind of occasion and eye shadow used. Also, don’t be afraid to use mascara if you’re wearing glasses. 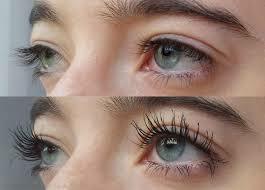 Mascara will help to highlight your eyes behind those glasses. Tip – For eye shadow– Without extending from the crease of the eyelid, start from the inner corner of the eye and go towards the outside. To create a striking look, use a darker eye shadow on the fringes of the lid. For Mascara – Curl up your lashes with help of an eye lash curler and while applying mascara focus on the roots instead of the ends. This will ensure that your lashes don’t touch your glasses. For Eyeliner – While applying thick eyeliner, instead of lower lash apply it on the upper lid. If you plan to apply a thin line then line your entire eye. Base – You should not skip your makeup routine just because you wear spectacles. Always use a proper foundation on the entire face and in particular cover fine lines around the nose and below the glasses. This is because glasses cast a shadow effect on the face and around the nose and under eye area. Also, don’t forget to bring that dash of subtle color on the cheeks with a blush. Tip – Opt for bright lip shades with natural or subtle eye makeup and vice versa. Bold lip colors also look great with thick frames. So don’t be afraid to play with your look.